This Black Bulk CAT5E comes in a 1000 foot spool. This is a shielded twisted pair that is plenum-rated (CMP). Each of the wires in the cable is solid 24AWG (American Wire Gauge) pure copper. 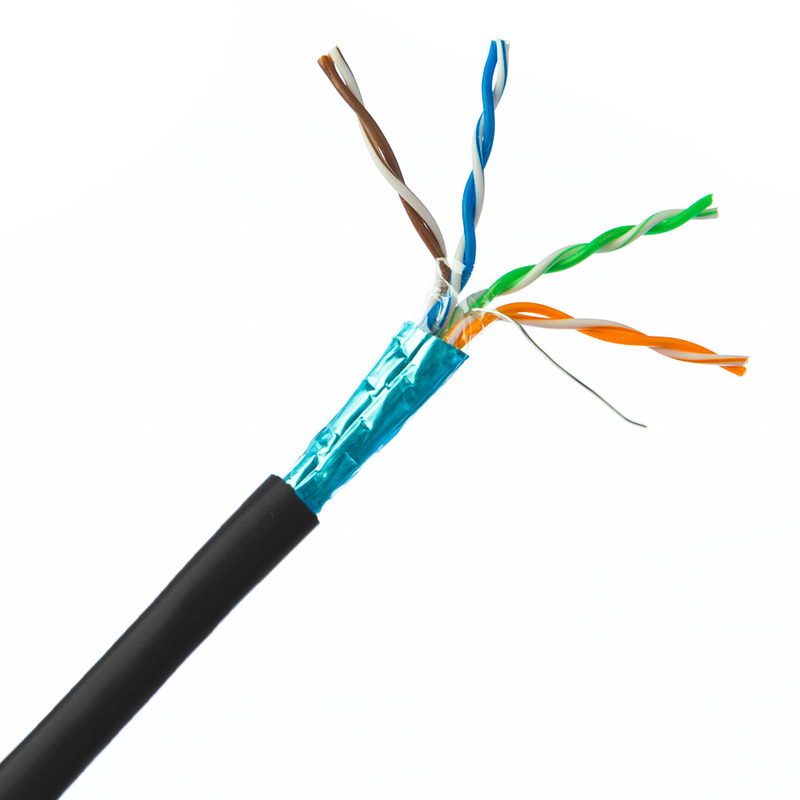 In a typical residential environment, an in-wall rated cable will suffice. However, commercial installations of cabling have different requirements. In commercial buildings, there will be an area between floors or above office areas for heating/cooling airflow called the Plenum. If an office were to catch fire, this plenum area could easily allow the spread of the fire to more floors or across the entire building. Cables that do not have a jacket rated for in-wall or plenum use could actually cause the fire to become more intense. Plenum-rated cables are jacketed with a fire-retardant plastic jacket of either a low-smoke polyvinyl chloride (PVC) or a fluoridated ethylene polymer (FEP) for less toxicity during a fire.